As a kid, one of my favorite dishes my mother would make on occasion was her homemade chicken and vegetable pot pie. 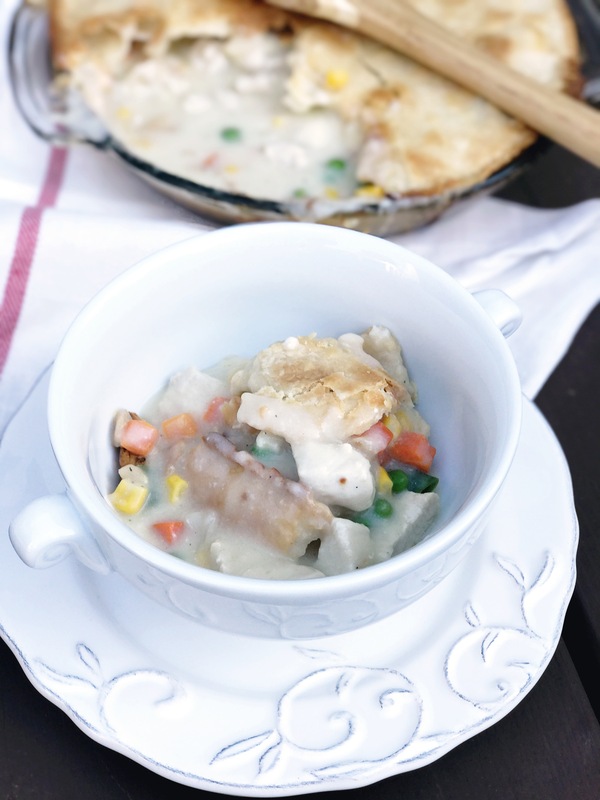 She always knew exactly how to make the crust soft, flaky and buttery, while the first slice into this memorable dish would make the inside burst open with chunks of tender chicken and sweet vegetables nestled into a light cream sauce that was perfection at its best. 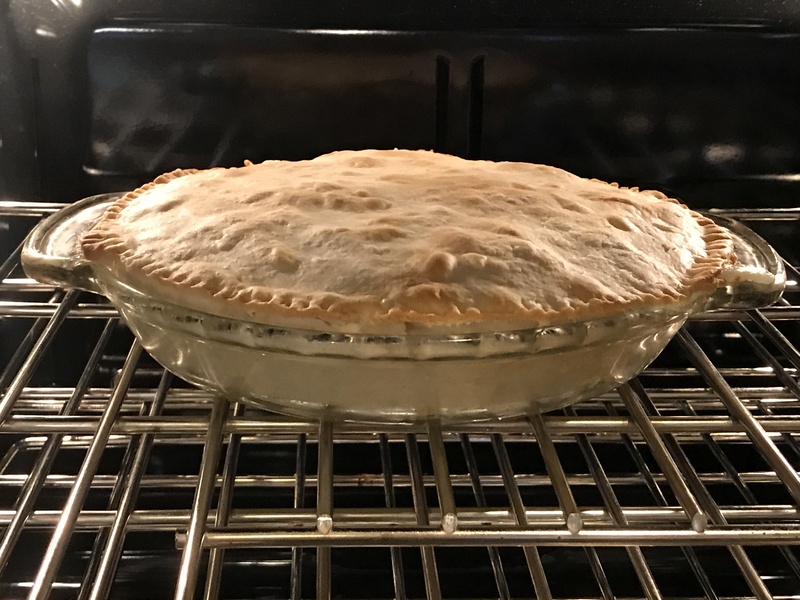 Recently, I ran across my mother’s pot pie recipe while sifting through her old collection of recipes. Finding this gem was like taking a whimsical trip down memory lane of my childhood. Since I plan to include many of her traditional family recipes in my upcoming cookbook, I’m glad I added her pot pie recipe to the top of my “Try this first” list! The beauty of writing a cookbook is that it forces me to consider each recipe and how I might improve the quality of the ingredients without compromising the flavor and taste of the dish. 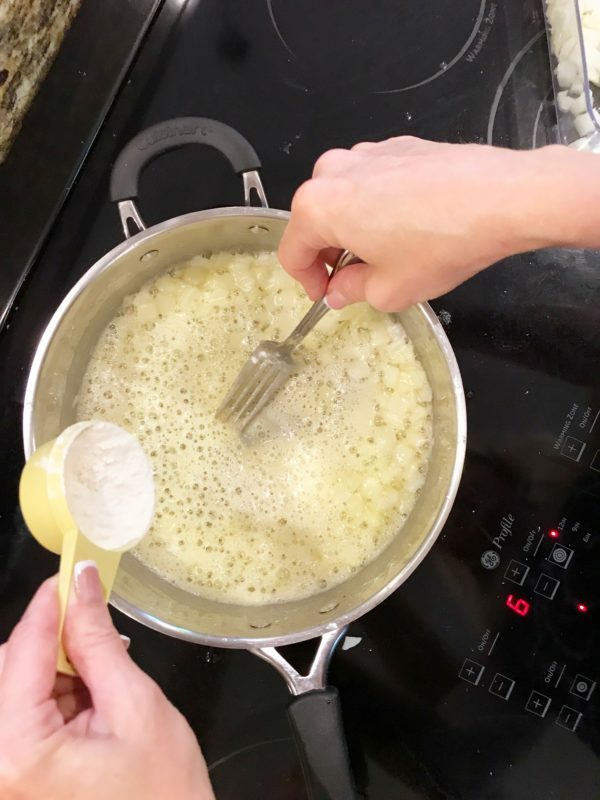 Because my mom chose ingredients that were often more “pocket book friendly” like Crisco Vegetable Shortening instead of an organic alternative with less harmful additives, I have been on a mission to recreate her traditional recipes. They are still delicious, still homemade, but maybe just a little bit better for you. And since I am feeding my family now, these are the details that matter most to me. 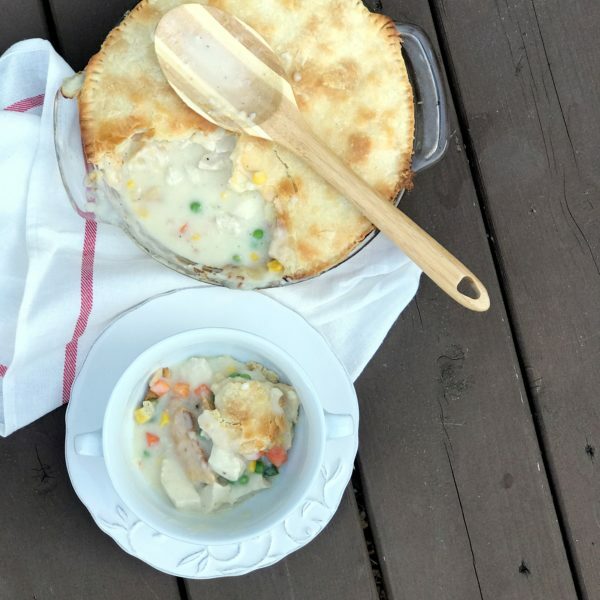 The next time you need a super easy, super delicious recipe the entire family will love, give this Chicken and Vegetable Pot Pie recipe a try. 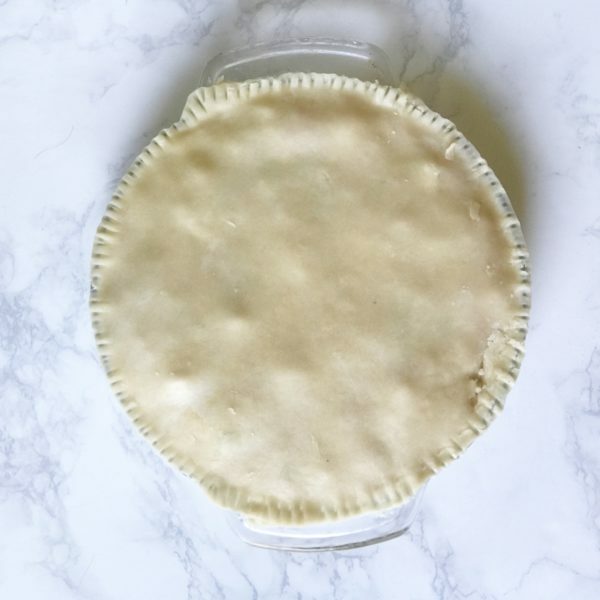 One day, your kids just might be telling their children all about their favorite recipe mom used to make when they were kids – homemade pot pie. This pot pie pairs well with some delicious homemade gravy. Don’t forget about homemade apple pie for dessert! Enjoy! 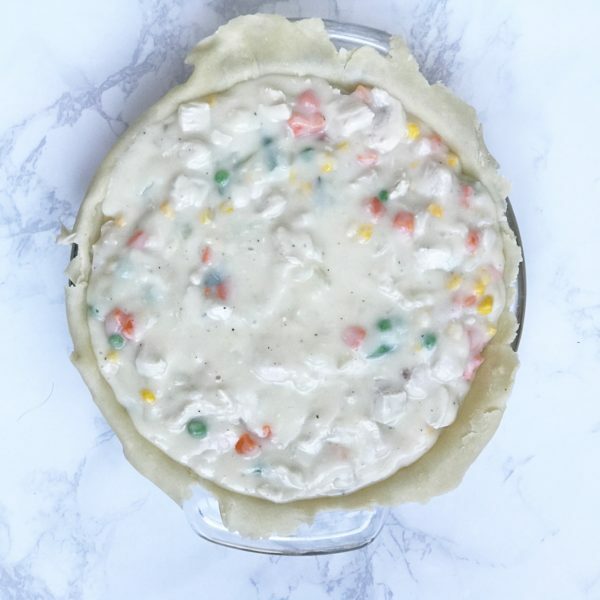 Nestled in a flavorful, flaky crust, this delicious homemade pot pie bursts with flavor and overflows with a creamy sauce, hearty chunks of chicken, and colorful vegetables. Perfect for dinner with the family or guests. In medium bowl, combine flour and salt. 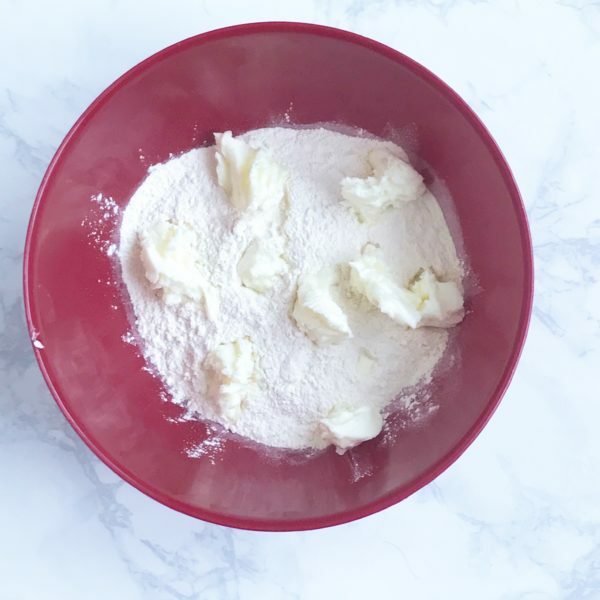 Using your hands cut shortening into flour until it creates crumbles. Add water, 3-tablespoons at a time, mixing with fingers until flour is evenly moistened and crumbly. Add more water if needed. Using your hands, form dough into a large ball. 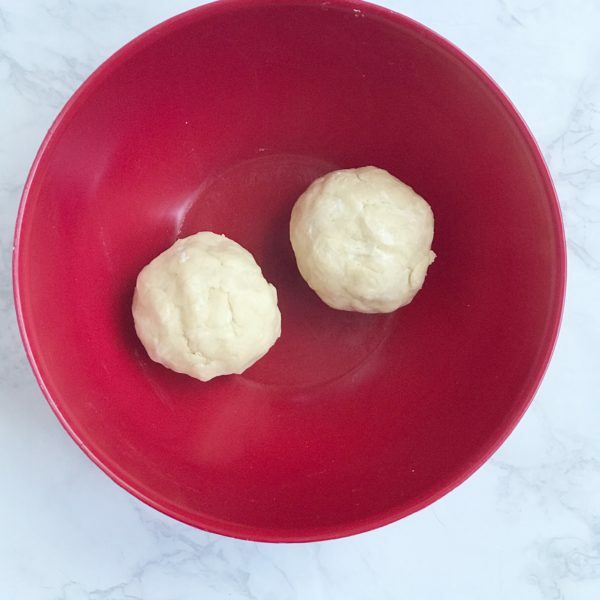 Separate dough in half creating two separate balls. Transfer dough to a plate, cover and refrigerate for up to an hour. 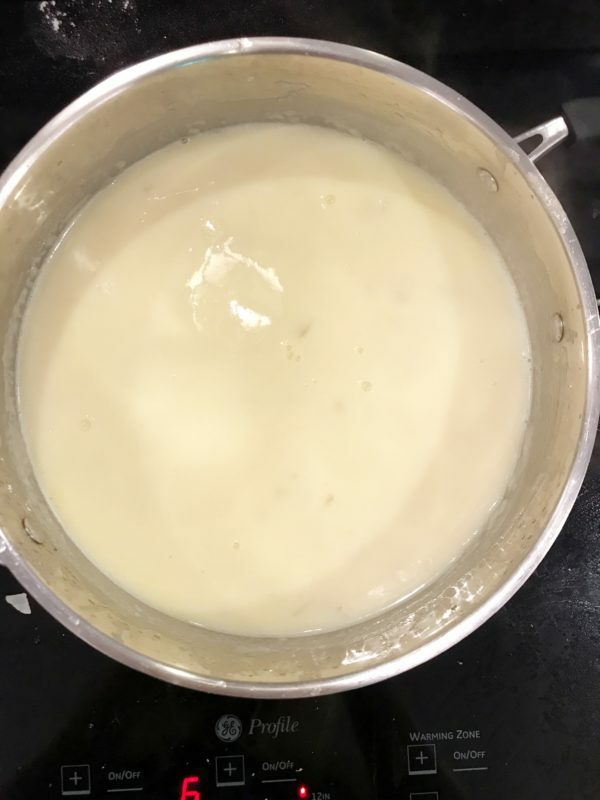 Heat butter in a medium pan over low heat until melted. 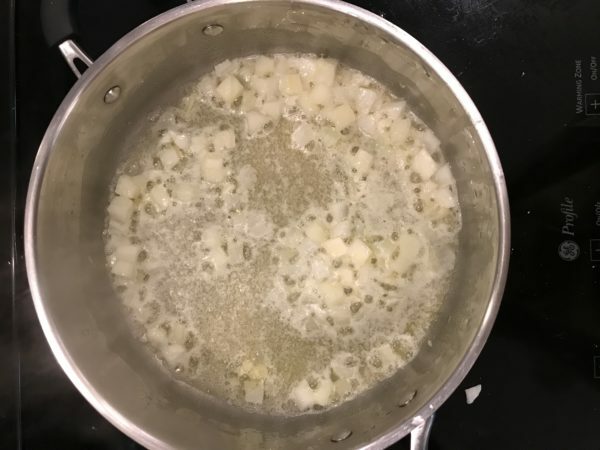 Whisk in salt, pepper, and onion sautéing until butter is lightly browned. Sift in flour, stirring quickly until mixture is smooth. 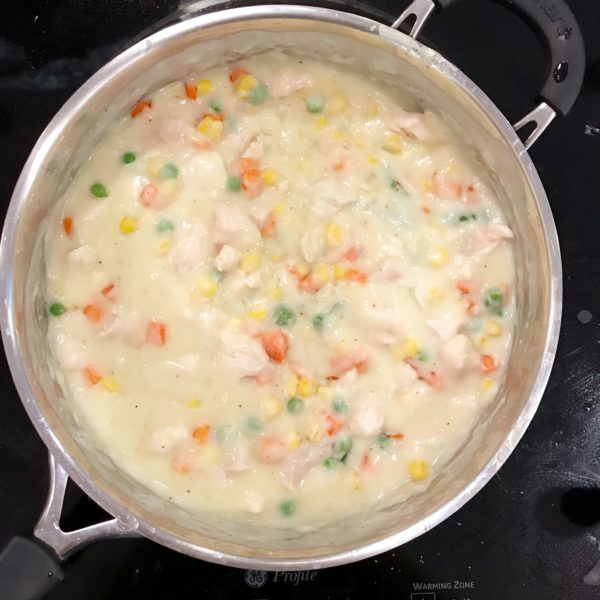 Stir in chicken broth and milk until it becomes creamy. Increase heat to medium-high and cook until it boils for 1-minute, stirring constantly. Add chicken and vegetables, stirring to combine. Remove from heat and set aside. 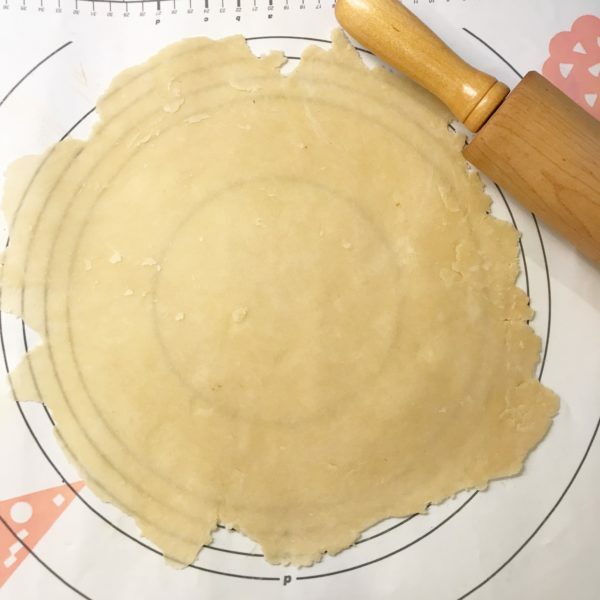 Remove dough from refrigerator, flour a pie sheet, roll one dough section out into a circle shape about 1/2-inch thick, as large as the pie plate. Grease pie plate, transfer crust to the plate and pour filling into pie shell. Roll out remaining dough as before. Gently place onto the top of the pot pie. Using a fork or your fingers, pinch the edges of top and bottom crust together. Using a sharp knife, cut off any extra dough hanging from the edges of the pie plate. Transfer to oven and bake 1-hour or until the crust is golden brown. The pot pie may drip juice while baking. Place a piece of tin foil on the floor of your oven to catch the liquid.